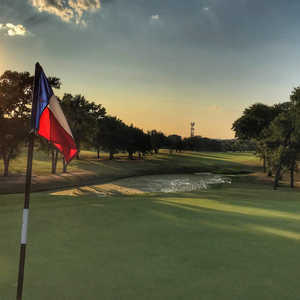 AUSTIN, Texas -- Golf in Texas is traditional, spiritual, cultural. Though it's not far from Austin, the Fazio Canyons course at Barton Creek Resort has no houses lining the fairways. It's a suit-and-tie yuppie in North Dallas tossing the clubs in the back of his Cadillac SUV heading for Preston Trail. It's a cotton farmer in overalls throwing the clubs in the bed of a pickup making dust trails on a West Texas Farm-to-Market road to the nine-hole Floydada Country Club, down in Blanco Canyon. It's a rich travel golfer having the valet haul his clubs to Barton Creek's Fazio Canyons after spotting legendary University of Texas football coach Darrell Royal sipping his morning coffee and reading the newspaper in the lobby of the hotel. In the 1920s, golf in Texas didn't include very many dramatic downhill shots to a scenic par 3 with a valley and river as its backdrop. It does now. 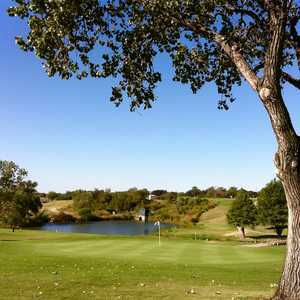 Golf in Texas is played on rock-strewn, hilly, bluebonnet-laden slopes of the Hill Country. It's played on South Padre Island's breezy Gulf of Mexico. It's played on the sand flats and dense pine forests just north of Houston and in the piney woods of East Texas. It's a culturally-diverse foursome teeing off on the desert landscape at El Paso's Painted Dunes. It's played on traditional munis of its big cities -- places where Ben Hogan, Byron Nelson, Babe Zaharias, Lee Trevino and countless other Lone Star pros fine-tuned their games. Texas golf is played in challenging weather -- too hot, too cold, too wet, too dry, too windy. Selecting the Top 10 municipals, daily-fee and upscale resort golf courses in Texas is like asking a four-year-old to pick his favorite candy. Too many choices, too little time to enjoy it all. It's rugged, rocky, hilly and there are no houses lining the fairways. 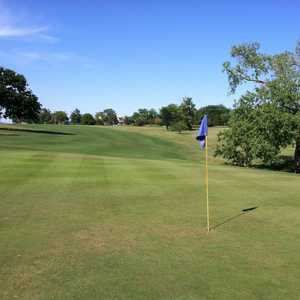 Opened in 2000, this Tom Fazio gem nudges out his first course at Barton Creek, Fazio Foothills, because of its secluded feel and because it was built on twice the acreage. "I'm still trying to figure out the subtle putts," said Chip Gist, Director of Golf. One can feel all alone here, as you stroke one into a box canyon on the 173-yard par-3 No. 3. But you aren't far from bustling Austin -- you can see the Texas State Capitol building 15 miles in the distance as you drive off on the elevated No. 15 tee. Standing on the tee box at the par-3, 175-yard No. 9, you might wonder if this is the best short hole in golf. On your left is a waterfall that cascades down to a grotto and deep ravine. Fazio Foothills, opened in 1986, has a cave on No. 18, waterfalls, climactic elevation changes, hills, knobs, green-side mounds, rock-filled rough, smallish greens and panoramas of awesome limestone-rock houses that look like small hotels. It has been ranked as low as No. 44 on Golf Magazine's Top 100 You Can Play List. The legendary Brazos River has cut a path through Texas for centuries but when this grand river met the Palo Pinto Hills, just 75 miles west of Fort Worth, a geological wonder was carved through limestone and cedar. Bruce Devlin and Robert von Hagge designed this journey through the cliffs and ravines just above Possum Kingdom Lake in 1988. It has a secluded atmosphere. No less than six times you will be asked to fly the ball over the cedars and limestone through ravines or canyons that will easily gobble up any mis-hits. And several times you will be asked to clear a stacked-limestone barrier that holds a green just hugging a ridge top. Bring your A game to Canyon Springs Golf Club, opened in 1998, and once the site of the last stagecoach out of town. It's located on the historic 55,000-acre J.W. Classan Ranch. Dean Beman wanted this land for a TPC course, but eventually Thomas Walker, a protege of Gary Player, designed the 7,077-yard par-72 beauty. A towering waterfall frames the 18th hole, there's a classic double-fairway hole and there's a challenging downhill tee shot on the 10th. Be accurate or pay big-time. Located in the Hill Country boonies near tiny Marble Falls, Ram Rock was designed by Robert Trent Jones Sr., and opened in 1981. This demanding layout is respected throughout Texas as one of its toughest layouts. There's an island green at No. 4, 191 yards from the rear, and the greens are slick bent, the only Horseshoe Bay course that has retained this quick putting surface. You have it all here -- narrow fairways, natural streams, ponds, sand, rock gardens, granite outcroppings, a blind tee shot and 60 bunkers. Water will test you on 10 holes. It has been ranked as high as No. 21 on Golf Magazine's Top 100 You Can Play list. Try Horseshoe's other courses -- Apple Rock and Slick Rock for more challenges. Plans for a new Flint Rock Course have stalled. Site of the historic Texas Open, the La Cantera Resort course is carved from a limestone quarry in northwest San Antonio. It was the final chapter of the Tom Weiskopf-Jay Morrish affiliation and has been rated as low as No. 48 on Golf Magazine's Top 100 You Can Play List. Opened for play in January 1995, it features a climb to the No. 7 tee that rewards the golfer with a view of Six Flags Fiesta Texas theme park, the Rattler Roller Coaster and a drive off an 80-foot quarry-wall perch. The state's most beautiful hotel, the Westin La Cantera, is a must place to stay. If you told an unsuspecting golfer from the Dallas-Fort Worth Metroplex that there's a golf course in the middle of Pipeline Road's industrial area, he would surely think you were joking. But there it is. Texas Star is a stroll in the Texas Hill Country, instead of a walk through an industrial park. Renowned golf architect Keith Foster created a strategic par-71 test of 6,936 yards with targets and options in abundance. Foster sculpted it out of 275 acres of rolling terrain with 100-year old oaks and natural woodlands, tall native grasses and Hurricane Creek traversing through it. The name Texas Star was a bold statement. The golf course speaks loudly, too. Stop, look and listen. You will be amazed at the peacefulness. Bluebonnets, hills, windmills, barn wood, rocky creeks, limestone Hill Country hotel, cowboy theme. You are close to the city, but it doesn't feel like it. No houses line the fairways. Arthur Hills designed this classic with greens mimicking the rolling land. Be precise and avoid the low-hanging giant live oaks. "When you get to a hole that has a small green, it's tough to score," says Charlie Kent, director of golf. "You also have lots of dry creek beds that come in to play and some of the native live oaks that will hang in your line of flight." Opened in 1991, this desert-style links layout, designed by Ken Dye of New Mexico's Pinon Hills and Paa-Ko Ridge design fame, is packaged around artificial mounding, small lakes and traverses toward large undulating bentgrass greens, which typical of Dye, are elevated and surrounded by treacherous bunkers well below the putting surfaces. It's nothing like anything in Texas. Why? Views of the Franklin Mountains for one, but also consider that El Paso is closer to Phoenix than to Houston. It is also closer to four state capitals than it is to its own capital of Austin. But don't think of this far West Texas city as a lonesome boondocks nowhere, either. As part of the greater Juarez, Mexico and Las Cruces, N.M. population center, it's the largest international metroplex in the world, with 2.3 million inhabitants. Okay, the Dallas-Fort Worth area is booming with great new daily-fee courses and classy munis. What sets Cowboys Golf Club apart? It's the terrain. How about a tee box with a 100-foot drop in elevation to the fairway? Creek features with deep ravines. Fingered bunkering framed with mounds. Testy, but no goofy unputtable greens. Wildlife, a heron rookery, native oaks, 100-foot tall cottonwoods, 40,000 transplanted pin oaks, pecan trees and other indigenous trees on a 159-acre, Corps of Engineers' site just below Grapevine Dam and adjacent to the 27-hole Grapevine Municipal layout. Opened in 2001, this Jeff Brauer beauty has an added bonus -- no houses in sight.